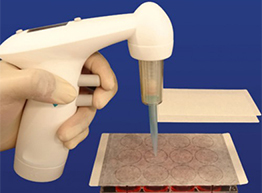 When it comes to histology equipment, there are a few very important considerations. 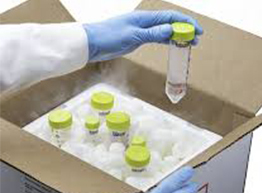 Since histology equipment is used to prepare and examine tissues, they need to keep a consistent temperature to protect the integrity of the specimens. Interlab is renowned for the quality of our laboratory equipment, including our histology equipment. The materials used to manufacture our histology equipment is of the highest quality, to strict specifications that adhere to safety standards. Interlab’s superior quality, proven performance and cost-effectiveness is the reason that we dominate the market in New.. Laboratory Consumables and Glassware available across New Zealand Interlab is known as the premium supplier of laboratory equipment across New Zealand, but did you know that we also supply laboratory consumables? With our reputation for superior quality, proven performance and cost-effectiveness, it is no wonder that we are also dominating the market for laboratory consumables. To order your consumables today, we have a great online ordering system which you can find right here. You can also order via fax: 04 939 6170 or email: sa..
Interlab Ltd brings you the DAIHAN Oven and Incubator Range to expand your laboratory’s capabilities for controlled heating applications. When temperature stability and accuracy are needed, DAIHAN Scientific products provide a range of scientific ovens and incubators that will exceed your expectations. Here’s to the final post from the team at Interlab in 2018! We would like to thank you all for your custom during 2018 and wish you and your families a Merry Christmas and a Happy New Year. It’s been a big year: this year we welcomed Bronwyn to the team, and we have also finalised plans to completely refit our warehouse in the new year, which will improve efficiency in order processing and despatch to our clients, so its onward & upward for Interlab!! We are closing down on the 21st ..
Interlab Expands its Sealing Film Range with PlateSeal. We are proud to bring PlateSeal products to the New Zealand market. All our products are quality tested to meet our expectations for premium laboratory performance, and the PlateSeal Sealing Films range come highly recommended as a result. Read More. When choosing a pipettor brand for your lab operations, consider first what brand of tips you wish to use with them. 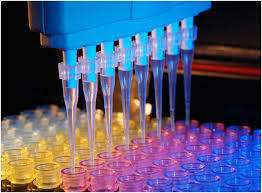 We all want to invest wisely and you will spend a lot more on tips than on pipettes in the long run, so purchasing tips that give superior performance will mean far better value for money. In order to choose the correct pipettor system that suits your needs, try a range of tips on the pipettors you are evaluating and carefully compare their fit, ease of ejection, quality, packaging options and overall value. One of the key unique value features of LabCon SuperSl..